The Suzuki Method is a wonderful way for children to learn to play a musical instrument. These three components make up the method and are the reasons why it works so well. For a child to learn his native tongue, several things must occur. First, he must be surrounded by that language, hearing it constantly. Second, he must be encouraged to speak in a nurturing environment. Mistakes are discarded and only praise is given. Third, when words are learned they are not abandoned; rather, they are repeated over and over and built upon. 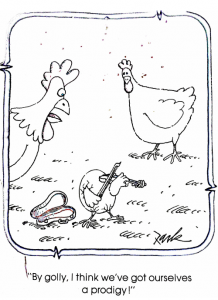 Learning to play a musical instrument is much the same in the Suzuki Method. Listening must be a priority. Students listen to recordings of their own pieces, as well as other beautiful music. This develops their hearing and playing sensitivity. 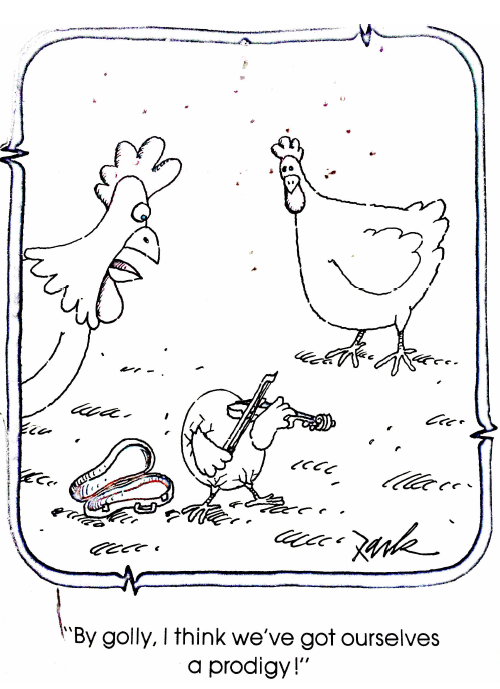 Students should also be encouraged to make music and practice. Attention should be given to progress, not mistakes. Lastly, when a piece is learned, it should not be set aside and forgotten. Instead, it should be played again and again, polished, and used for future technique building. 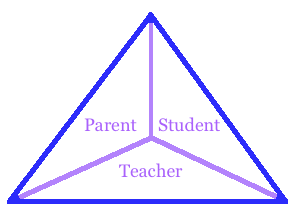 The Teacher, Parent(s), and Student make up the Suzuki Triangle. Each participant is of equal importance. The teacher gives instruction once each week. The parent builds on that instruction, with guidance from the teacher, during the at-home lessons. The student is given the ability and freedom to express and explore the instrument, the music, and himself. If any one participant is lacking, all three will feel the frustration. Dr. Suzuki strongly believed that talent is not “something you’re born with”. Instead, he believed that all children are born with the ability to develop talent. Mozart was called a musical prodigy, but Suzuki points out that Mozart was trained early by his musician-father, and was surrounded by music from birth. Similarly, if a child is reared in a musical environment, he will become musical himself.